San Jose Rock 'n' Roll Half & My Birthday! 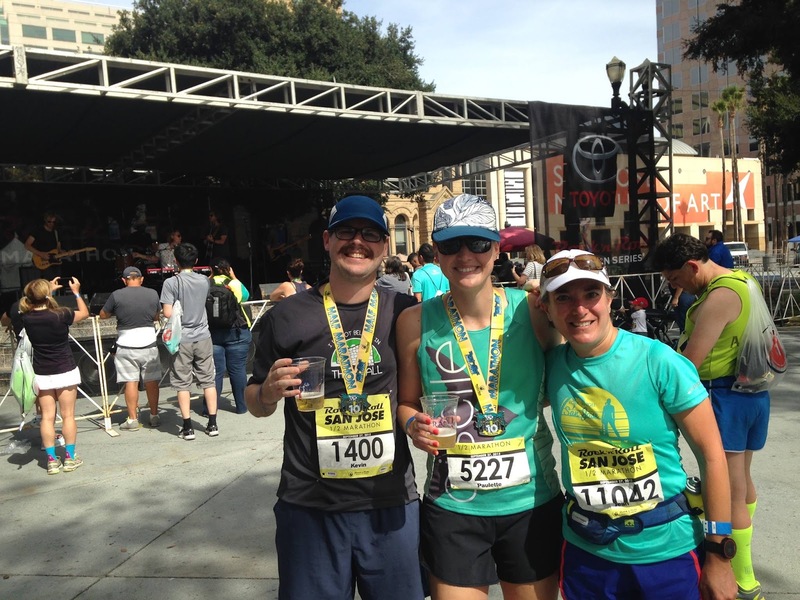 Last Sunday was not only the San Jose Rock 'n' Roll half marathon, it was also my 35th birthday! At one point in time earlier this year (thanks to National Running Day) I thought it would be a good idea to sign up for the half marathon as a birthday run. 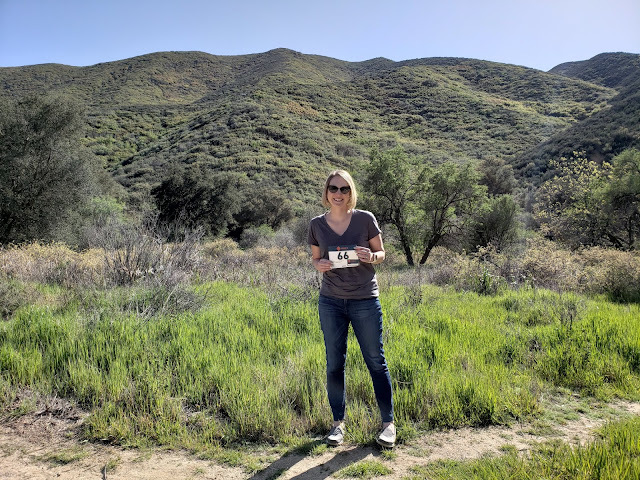 It wasn't a bad idea, per se, but as the day approached I became very nervous about running a long run on pavement so close to my 50K goal race. After much whining and complaining from me, Kevin convinced me to do the half with him as part of my long run that weekend. I went to the expo on Friday after work and was unpleasantly surprised that they would not let me pick up Kevin's bib even with his ID. He was at work until the expo closed at 6 pm and had another Saturday commitment, so he couldn't easily get to the expo. Luckily he was able to leave work at 5:55 pm and works near the expo, so he literally ran over and managed to get his bib. 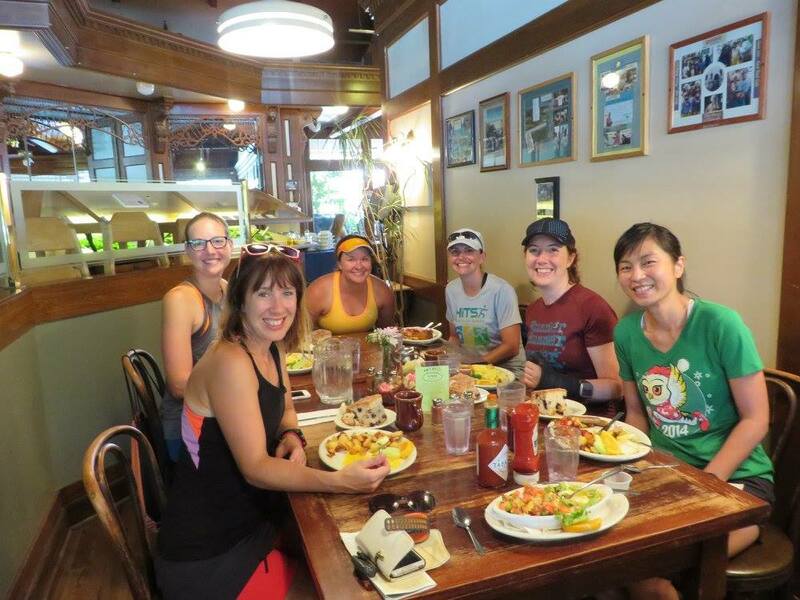 To kick off my birthday weekend, on Saturday I joined a bunch of ladies for 10 miles of trail running at Rancho San Antonio and brunch at Hobee's Restaurant. We had a blast! I've been wanting to run with this group for ages and the dates finally worked out. It was also fun to see Rancho through their eyes; I run there often and have started to take the scenery for granted. Now that I had successfully tired myself out on trails Saturday, it was time to push though a Sunday long run San Jose RnR style. Kevin and I ran the 3.6 miles from our house to the start line as a warm-up and 'long run part 1.' I love living so close the the event and that's one reason we tend to sign up for it each year. 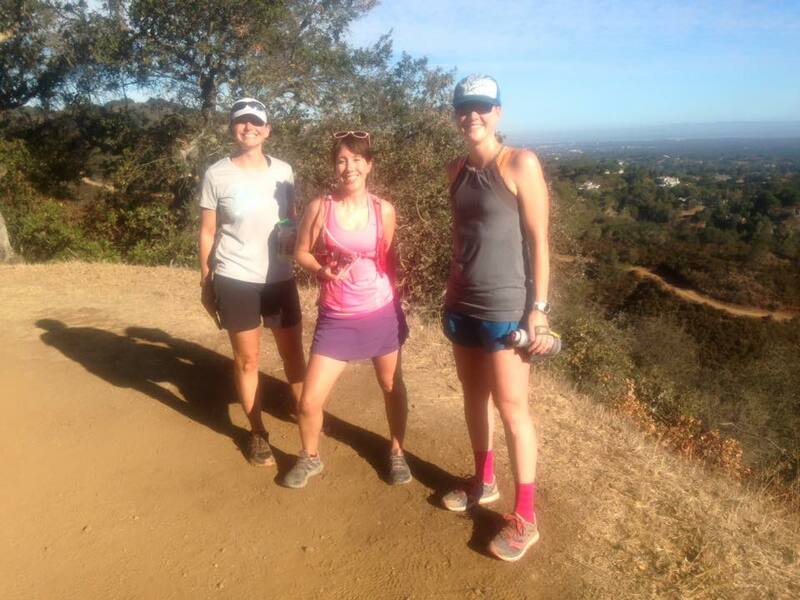 As usual, the weather was warm and I was happy not to have set this as a PR goal race for once. It took a couple of tries for me to realize this is a bad idea, but now I've learned. I kissed Kev good-bye and he went off to Corral 1, then I found Catherine and we watched the Corral 1/Elite start before heading to our own corrals. Catherine and I at the start. My corral started and I made sure to hold back at long run pace instead of getting swept by the crowd. The beginning of the course goes up Santa Clara Street, heads through Japantown, then loops down Second Street by the condo we used to live in. I said hello to our friends that live in the area and were out cheering (thanks Kevin and Kristine, I needed the motivation!) and continued on to the Alameda. Shortly after I hit the Alameda the winners started coming back toward us, which is the best part of this course if you hit the timing right. I cheered for Meb and the other top guys and gals as they passed. In past years the neighborhoods were unknown to me and I never really knew where we were. However, this year we live near a different part of the course and it was more fun because I knew exactly where I was heading the whole time. And even better? Our neighborhood was FUN! People were out cheering, there was an aid station and band, and I enjoyed a donut hole from a friendly neighbor. That totally perked me up. Before I knew it we were back on the Alameda and close to the finish line. I crossed at 2:16:27, pretty much right on my target long run pace (slightly faster.) At the end, I had to keep reminding myself I was finishing almost 17 miles and not 13.1 miles, which is why I felt more tired that I would expect at a half. Medals, specialized for the 10 year anniversary of the race. I found Kevin and we went back to cheer at the finish line until Catherine came through. She ran her first half marathon in years and did awesome! Catherine (in bright red) coming in strong. A palm tree lined finish arch. We rounded out the morning with free Michelob Ultra 'beer' and the awards ceremony. Meb came in 2nd and set the Masters half marathon record, and the top 7 men all qualified for the Olympic Marathon Trials. That's a half marathon under 1:05:00. Wow! Top men and women in the half, Meb on the far right of the runners. Later in the evening we had a few friends over for my birthday, including plenty of good beer and ice cream cake. It was a very successful day (weekend, really) of turning 35! YES. My first ice cream cake in years. Mike (who also had a big half PR!) and Kevin showing off the SJ RnR race shirts. 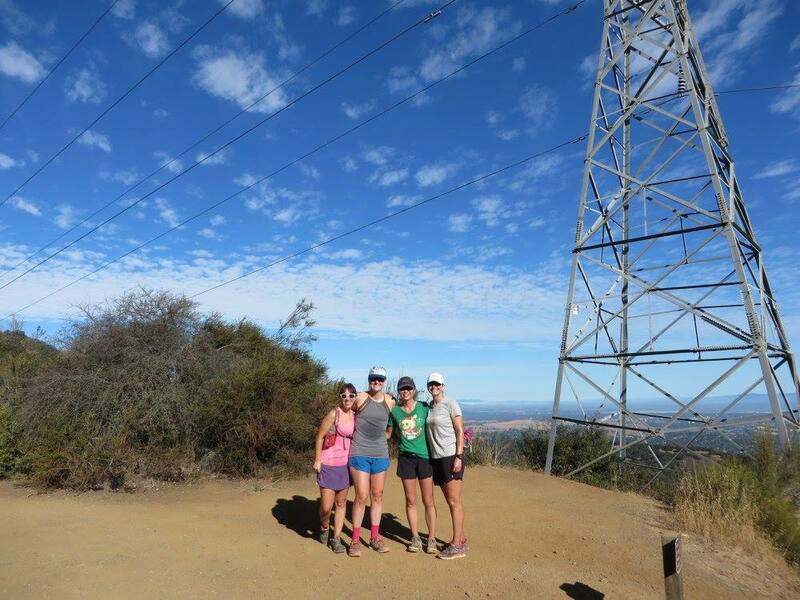 This weekend I'll be taking it easy to prepare for the big race goal: Skyline to the Sea 50K on October 10. I can't wait to hit the trails! Sounds like a great weekend! Good job on taking it easy during the race and making a long run out of it! I always seem to go too fast when I try to do that. 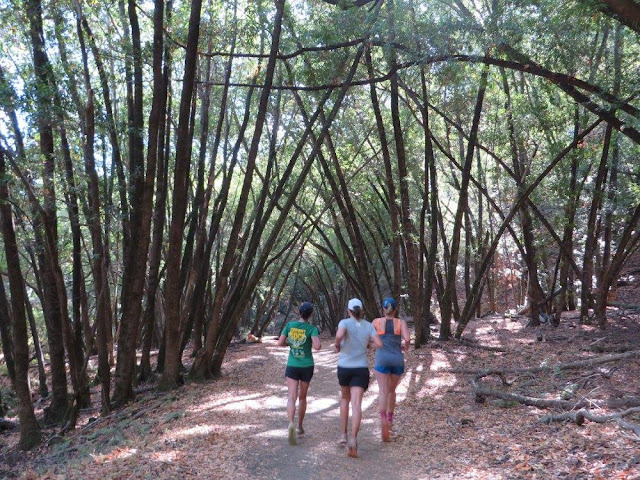 Good luck resting and tapering before your big 50K! It was so great to finally run with you last week! Glad you ended up enjoying Sunday's race/long run more than you anticipated. Good luck with your taper!! Thanks Jen - so glad to finally run with you too!